The folks at Activision and Infinity Ward have delivered a brand new, one and a half minute long trailer in order to show off some of the storyline moments gamers are set to experience in Call of Duty: Modern Warfare 3 this holiday. This clip showcases exactly how connected every event in this series has been as the voice of the enemy narrates a part of the action. You'll see sniper missions (some of the best in the Modern Warfare experience, in my opinion), big cities and, of course, epic explosions. 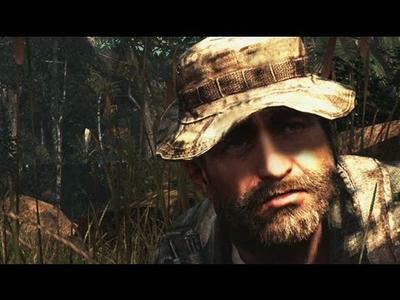 From the looks of it, Modern Warfare 3 will deliver more of what fans have come to love the franchise for. We posted a poll a few weeks back in order to gauge the TechnoBuffalo community's interest in both this and the other big shooter for the holiday season, EA and DICE's Battlefield 3. The results of that poll showed that a majority of you are anticipating Battlefield 3 over Modern Warfare 3. With that, I ask you this: does the above campaign trailer for Infinity Ward's next do anything to change your mind? Call of Duty: Modern Warfare 3 is set to release on November 11th for the PC, Xbox 360 and PlayStation 3.